The sign-up period for 2016 coverage under the Affordable Care Act begins Nov. 1. But federal health officials are predicting tepid enrollment growth, a nod to how difficult it will be to continue to persuade more uninsured adults -- including many younger and poorer people -- to buy and maintain coverage. "They've gotten the low-hanging fruit, the people who really wanted coverage, who needed it and were quick to sign up," said Peter Cunningham, professor of health care policy and research at Virginia Commonwealth University in Richmond, Va. In 2014, the first year of expanded coverage under the Affordable Care Act, 8 million people signed up for coverage. That influx occurred despite computer snafus and other enrollment glitches plaguing the federal HealthCare.gov website and several state online "marketplaces." HealthCare.gov handles enrollment in 38 states, while the remaining states operate their own online insurance marketplaces. By the end of 2016, roughly 10 million people will be enrolled in a marketplace plan, according to updated projections from the U.S. Department of Health and Human Services (HHS). That's up from the 9.1 million people who will have coverage in place by the end of 2015, officials said. The health law, sometimes called Obamacare, is credited with helping to shrink the nation's uninsured rate to its lowest level in decades -- just over 9 percent of the population, according to the U.S. National Center for Health Statistics. But, health plan premiums offered by HealthCare.gov and state marketplaces for 2016 are rising sharply in many regions of the country, reflecting actual costs under the Affordable Care Act. On Monday, federal officials said "benchmark" health plans in 37 of the 38 HealthCare.gov states are raising rates an average of 7.5 percent in 2016. The rates charged by benchmark plans are used to calculate federal subsidies that help some people pay their monthly premiums. 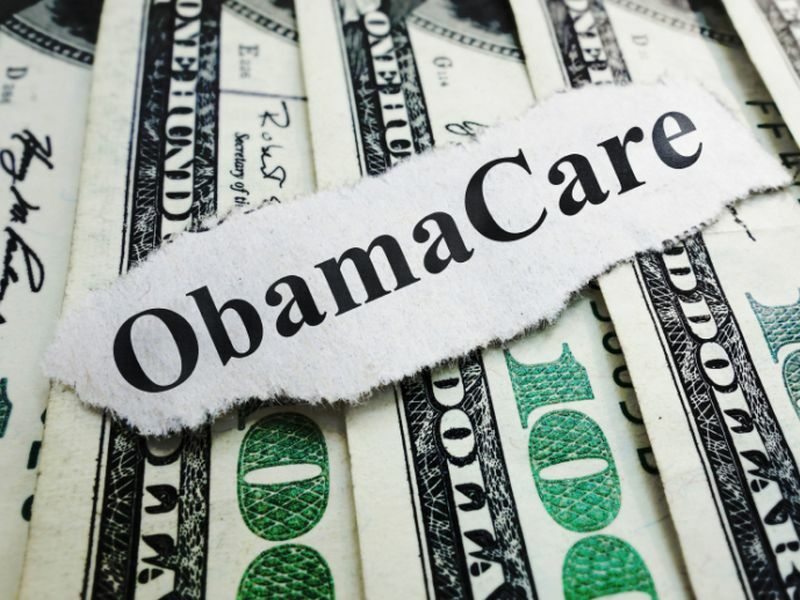 Michael Stahl, a senior vice president with HealthMarkets, Inc., in Dallas/Fort Worth, one of the nation's largest health insurance agencies serving individuals, is seeing rate hikes for Obamacare plans in the high single- to double-digit range. "They're not immaterial, and it's only going to put more pressure on people in terms of being able to afford it," he said. Consumers who remain uninsured next year and don't have an exemption from the law's coverage mandate may be surprised to learn of increased penalties for 2016. The fee is 2.5 percent of annual household income or $695 per person (half of that for children), whichever is higher. This compares to 2 percent of income or $325 per person in 2015. The penalties will kick in when people file their federal tax returns in 2017. "I think there will definitely be some sticker shock when that happens," Cunningham said. Currently, about 10.5 million uninsured people are still believed to be eligible for coverage through the federal and state marketplaces. Nearly half are young adults, who tend to think they don't need health insurance or think they can't afford it. "I've had a number of 'young invincibles' who just don't want to spend the money on coverage and don't care about the penalty," said Robert Slayton, a Naperville, Ill.-based health insurance broker. What's more, many uninsured Americans still don't know that they may qualify for federal subsidies to lower the cost of coverage, federal officials acknowledged. Almost 40 percent of the uninsured who are qualified to enroll in an Affordable Care Act plan have incomes between 139 percent and 250 percent of the federal poverty level, or roughly $34,000 to $61,000 for a family of four. More than one-third are people of color, HHS officials said. "Our research tells us they're going to be harder to reach," HHS Secretary Sylvia Mathews Burwell acknowledged during a recent speech at Howard University in Washington, D.C., highlighting the health-reform law's successes and goals for the upcoming enrollment period. Obstacles include a lack of knowledge about eligibility for coverage, language barriers and the affordability concerns. HHS is focusing its enrollment efforts in several large urban markets, including Chicago, Dallas, Houston, Miami and northern New Jersey. The federal government's 10 million enrollment estimate for 2016 is sharply lower than the 21 million that the nonpartisan Congressional Budget Office projected in a report in March. Earlier independent enrollment projections assumed that many people would switch from employer-sponsored health coverage into marketplace plans offered through Obamacare, but that hasn't happened, HHS noted. Mark Pauly, a professor of health care management, business economics and public policy at the University of Pennsylvania's Wharton School in Philadelphia, said he never thought there would be significant migration from employer-sponsored coverage into marketplace plans. "If your current plan at your job is decent, I think most people want to 'set it and forget it,'" he said. If enrollment in Obamacare health plans grows in 2016, it will be due to multiple factors. The federal government's enrollment projections for 2016 reflect a combination of people signing up, dropping out or switching to marketplace plans. By the end of open enrollment on Jan. 31, 2016, an estimated 11 million to 14 million people will have selected a health plan. But, HHS said that only 9.4 million to 11.4 million are expected to pay their premiums and maintain coverage throughout the year. HHS officials said they always expected that people would move into and out of Obamacare health plans as their life circumstances change -- such as getting married, having a child, or re-evaluating the state of their finances. "Sometimes you get to the end of the month for certain people and you've got rent or your health insurance payment," Stahl explained. Some consumers drop coverage in the middle of the year and come back at open enrollment later in the year, he said. As of February, 11.7 million people were signed up for coverage under the Affordable Care Act. That number slid to 10.2 million in June. And by the end of the year, 9.1 million will be enrolled, federal officials predict. The federal government has yet to publicly disclose demographic data on the people who are losing or dropping coverage. Keeping young, healthy adults enrolled is considered crucial to keeping premiums affordable for older and sicker adults. If healthy adults don't sign up, Obamacare is headed for a "death spiral," some critics of the law warn. "I think our view is there's certainly a lot of turmoil," Stahl said. "But we think the [Affordable Care Act] is here to stay."